Malls in Abu Dhabi are places of recreation where friends and family hang out. These shopping complex centers offer various options for residents to relax after a long day of work and a place to dine, shop, or catch up especially during weekends. The recent developments of structures and areas in Abu Dhabi are also accompanied by that plenty of mall centers to cater to every resident. This is good news as this also creates more jobs for expats and locals alike. We’ve compiled a list of malls and you can check them out below. You can’t miss out on these places as you can always count on them to eat out or get good deals during sale seasons. 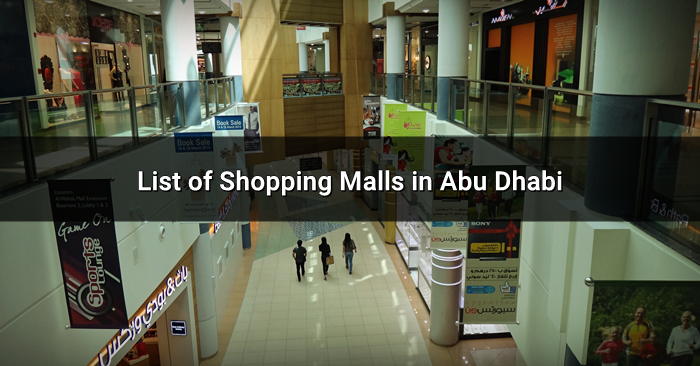 Here’s a list of shopping malls in Abu Dhabi for your reference. Getting over 25,000 foot traffic on a daily basis, Abu Dhabi mall has over 200 shops, restaurants, play area and a Cineplex. Outlets of branded items are available such as Salam Stores, Jashanmal, and Paris Gallery. Al Raha Mall offers a good mix of shopping, dining and entertainment. There are two cinemas, food court and a children’s entertainment place. Located opposite the Abu Dhabi Bus station, Al Wahda mall has a welcoming design with the sun seeping through the ceiling. Plenty of dining choices and shopping options can be found as you weave through the hallways of this shopping complex. This mall offers a variety of luxury boutique shops. A variety of exclusive brands are housed here including Cartier, Burberry, Hermes, Salvatore Ferragamo, Versace, Tom Ford, etc. These boutiques even have designated spots for VIP customers for that ultimate luxury shopping experience. Located in Baniyas City, Bawabat Al Sharq is near Mohammed bin Zayed, Khalifa City, Al Wathba and other residential communities. This shopping and recreation center is home to various stores that range from local rising brands to high-end brands. A few minutes away from Abu Dhabi International Airport and Maqta Bridge, Dalma mall has nice options for dining and entertainment. Sometimes referred to as “Marks and Spencer Mall”, this mall is located in the intersection of Sheikh Zayed First Street and Airport Road and houses shops like Adams, Nine West, and of course Marks & Spencer. Galleria mall is located in the Central Business District and houses a remarkable waterfront. Various high-end brands that first opened in Abu Dhabi are introduced in this mall. Some of these brands include: Mulberry, Berluti, Marc Jacobs, Paul Smith, Alexander McQueen, Tory Burch, Emporio Armani Caffe, etc. 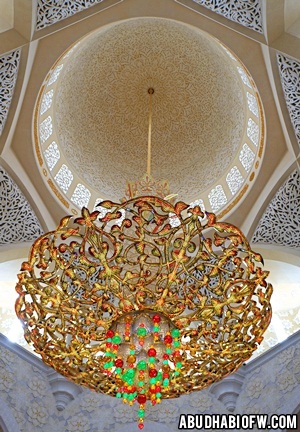 Unique with it’s Islamic architecture design, Khalidiyah mall is located on Al Nahyan street and features over 160 shops. UK stores like BHS and Debenhams can be found here, a sprawling food court as well. They also have a cinema with 3D experience, and a bowling centre. Marina Mall has an ice rink, musical fountain, bowling alley, Cineplex, and a 100m high platform for viewing the city. 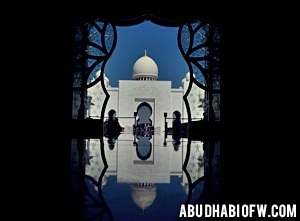 This is one of the landmarks of Abu Dhabi. Mushrif mall houses various retail shops on 3 floors. This mall takes a 5-minute drive from Abu Dhabi National Exhibition Centre and you can shop from electronic goods to luxury designer items. This mall also has the largest food court area. Located at the ground level of the twin Nation Towers and St. Regis Hotel Abu Dhabi, Nation Galleria offers luxurious retail brands in 3 floors. You should check out the views from its terraces, you can surely have a great venue for social and dining on the Corniche. You will get a sense of history and traditional trade as this mall offers a modernized set-up of the old Central district. WTC Souk has perfumes, henna, textile, spices, etc. You can get a fusion of Arabic and modern design at WTC Souk. Located in Yas Island, Yas Mall is the biggest shopping mall in Abu Dhabi and 2nd in the UAE. Over 10,000 parking areas are available in this complex with over 235,000 square-meter floor space. The first Lego-Concept shop in the region, biggest Debenhams outlet outside the UK, and the largest VOX cinema screen are some of the highlights you can find in this mall. Did we miss any places not included in the list? Kindly inform us and we’ll add it in the article! 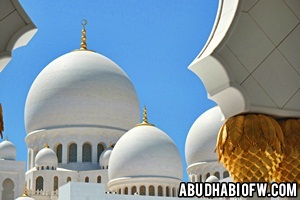 Get FREE JOB UPDATES in Abu Dhabi!